How would you feel if someone snapped their fingers and removed your misophonia? I’m talking about ALL traces of it. The past, the present, the future. Erased from your childhood… no longer a feature in your day-to-day life… and a tomorrow that would be, well, trigger-free. Would it feel like a great weight had been lifted? Like you could finally relax and lead a ‘normal’, happy life? This might seem like a strange question. At first pass the answer for most of us would be a resounding “YES! 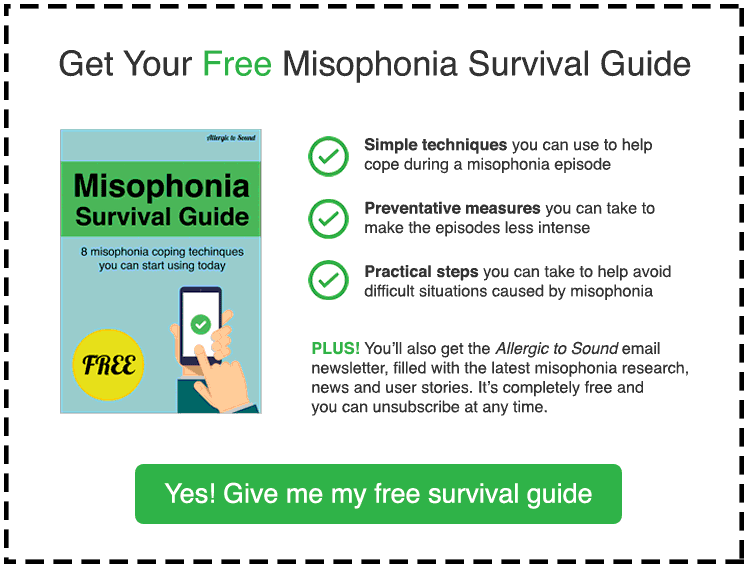 Get rid of the misophonia at all costs”, right? But here’s the thing. If your misophonia was taken away, would it leave behind a completely different, unrecognisable you? 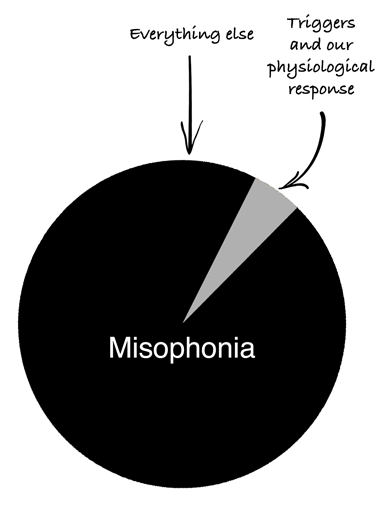 To what extent does your misophonia make you ‘you’? The intense feelings that consume us when we hear a trigger sound describe just ONE part of our misophonia, the part that we directly perceive in the heat of the moment. The frustration, the anger, the panic, the guilt. The problem is this narrative seems to frame much of our discussion about misophonia. With no other context, it suggests that misophonia is entirely defined by negative emotions and traits and that therefore everything to do with misophonia must be bad. They effect the mindsets of the most important people in all of this, us. But here’s the thing. These negative thoughts and concepts are based on a very limited understanding of our disorder (a disorder which, remember, didn’t have a name until very recently). Misophonia is about a great deal more than sound sensitivity alone. As you’ll see, the misophonic brain is wired differently in ways that we are only just starting to uncover. Before we get to that, let’s start with the why. Why is that the dialogue around misophonia always seems to focus solely on sound triggers and negative emotions? There’s a scientific reason for it. Our ears, our eyes, our noses, our sense of touch. This makes sense in evolutionary terms because it’s efficient. The sights, sounds, smells and textures our senses and brains decode help tether us to a world (and reality) with rules and structures that we can readily navigate. It stops us from falling over all the time, it helps us find food, it helps us find a mate and so on. The brain does this by learning and categorising complex information. That lump over there is a tree… don’t walk into it. That red blur over there is molten lava… don’t fall into it. Obviously this setup doesn’t always work in our favour all of the time, in every scenario. Different brains have different ways of perceiving, processing, categorising and regulating different sounds, sights, smells and textures. In our casec for example, the misophonic brain takes the sound sensitivity dial and sends it into hyperdrive. Nonetheless, for the most part categorising and labelling complex things works well as a survival strategy. It’s an efficient way to identify objects and feelings and concepts quickly. If our brains didn’t make these quick category judgements the world might appear as a featureless (and meaningless) mass of lines, dots, colours and fractals. There are objective, invisible truths as real as the ground beneath us that we can’t directly perceive via our senses. Many of these are essential to our comfort, happiness, enlightenment and even survival in some cases. Yet we now take these for granted, thanks to incredible advances in science and human understanding. Our eyes and brains are only adapted to perceive (or see) just a fraction of the world’s wavelengths. We only perceive that tiny slither in the diagram below labelled ‘visible light’. As leading neuroscientist David Eaglemen points out: “the wavelengths we’re talking about involve only what we call “visible light”, a spectrum of wavelengths that runs from red to violet. But visible light constitutes only a tiny fraction of the electromagnetic spectrum – less than one ten-trillionth of it. Let that sink in for a moment, just one ten-trillionths of what we call ‘reality’. Even though we can’t see all these other wavelengths we know that they exist because we’ve found ways – in many cases using technology – to uncover and even utilise them. They might be invisible to the naked eye but they are just as real and just as important. Without them doctors wouldn’t be able to use x-rays to examine our broken bones… we wouldn’t be able to watch TV or listen to the radio… film directors and photographers wouldn’t even exist… solar energy wouldn’t exist… and so on. Let’s track this back to misophonia for a moment. We often label misophonia as being about those intense ‘in the moment’ triggers. It’s our equivalent of that slither of visible light in the world’s wavelengths. Triggers are immediate and loud and pushy, like a great, big klaxon call that screams “look at me!” all the time. But if we look beyond that tiny, perceivable slither of sound triggers we’ve come to characterise our disorder by, what else lies waiting to be discovered in our differently wired brains? A close friend of mine is profoundly dyslexic. This wasn’t something that was well understood or taken particularly seriously when he was growing up. Teachers used to accuse him of being “lazy” or “thick”. One of the main reasons it wasn’t taken seriously was because doctors and neuroscientists knew very little about it at the time. Teachers, and even dyslexics themselves, often found themselves focussing solely on the negative. Within the musty walls of old fashioned, regimented classrooms around the world where parrot fashion learning – and the ability to recall facts or spell certain words – was valued over ingenuity and analysis, dyslexics stood out for all the wrong reasons. Negative, negative, negative. All of these effectively spell out: “you can’t do this” and “you can’t do that”. Sound familiar? It should do. In our case sound sensitivity is our kryptonite. As a result of this negative narrative, generations of children grew up with a stigma surrounding their ‘disorder’ and their abilities. Dyslexics were told they were “stupid” or “lazy” by the very people who were supposed to be nurturing their young minds. They compared themselves to the other kids, particularly those who excelled at this narrow form of rote learning, and felt useless, frustrated and vulnerable. But what do we know about dyslexia today? Artists, actors and scientists: Carol Greider, Steven Spielberg, Richard Branson, Jacques Dubochet, Tom Cruise – possibly even Albert Einstein, Leonardo Davinci and Thomas Edison. It’s a far cry from the “thick” kids who were written off as having a ‘stupidity’ disorder because they had trouble spelling or understanding instructions. So what about my friend, how has his dyslexia defined him? There are so many metrics for happiness and success. He would say that his greatest achievements are his wonderful family (and I’d agree). But he also keeps himself busy in the day-to-day while the kids are at school. The boy who couldn’t spell owns and runs a very successful media agency in central London, employing over 70 staff. He started from scratch. We’ve talked a little about dyslexia. Let’s turn briefly to another neurological disorder, high functioning autism (or Asperger’s as it’s often referred to). Dr. Kenneth Roberson is an Asperger’s psychologist in San Francisco with over 30 years of experience. Most of us would kill to have some of those traits. Yes of course individuals with autism will also face many difficult challenges in their lives and we mustn’t underplay that. But can you see how just by tilting the looking glass for a moment and focusing on what individuals with differently wired brains CAN excel in and CAN thrive at, you can change the narrative? 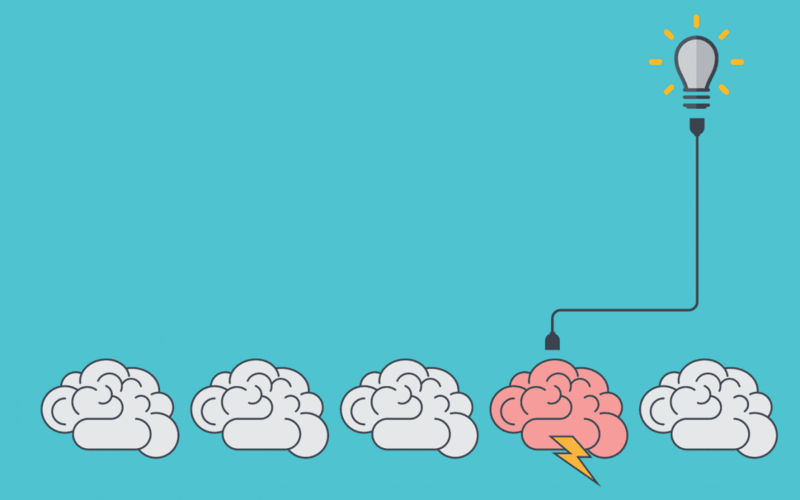 This exercise in looking beyond obvious is vital in both changing the way others perceive people with autism, dyslexia or misophonia and in how we perceive ourselves. It effects a person’s self-esteem, stress levels, happiness and wellbeing. No-one would dream of telling someone in a wheelchair that they should keep trying to use the stairs because that’s what everyone else does. Yet with ‘invisible’, neurological disorders we often do just that. We obsess on trying to get people to focus on what they can’t do, rather than what they CAN do. Ok, so we’ve talked about dyslexia and autism, but what about misophonia… where’s our list of superpowers? A higher propensity for creative genius… increased levels of empathy… an eye for detail? I should start by saying that misophonia research is still, compared to many other neurological disorders, in its very early stages. At the time of writing if you type “autism” into Google Scholar it brings up 1.34 million results. Type in “dyslexia” and it brings up 272,000 results. A search for “misophonia” gets just 823. That gives you a sense of the virgin territory we’re entering here and highlights the massive need for lobbying, government funding and research. It also means that the data we have to draw upon, to date, about the positive aspects of misophonia is fairly limited and often speculative. It’s important to put this disclaimer in. Nevertheless, what follows is an exercise in starting the debate and getting the ball rolling. There is – without doubt – a rich tapestry behind the veil just waiting to be discovered and we, as a community, have the power to push forward and encourage this discussion. The good news is that we’re already making progress. One study, led by Darya L. Zabelina from Northwestern University, forms an excellent starting point. You can read about it here, but here’s a synopsis. And you don’t have to delve too far into the past to find evidence of creative geniuses within our ranks. The study cites Wagner, Proust and Darwin as individuals who “strongly lamented the distracting nature of noise (Kasof, 1997)” and were almost certainly misophones. Proust so much so that he was famous for lining his bedroom walls with cork and wearing earplugs so that he could work in complete and utter silence. In a series of Allergic to Soundbulletins I asked what unique ability or abilities you posses. Specifically abilities you suspect you might not have if you were, to use a horrible word, ‘normal’ and didn’t have misophonia. What it is that you might find easy that others struggle with. What fields, subject areas or niches you thrive in. This could be anything from ways of looking at the world, to how you interact with people, see the bigger picture and focus on tasks. I combined your email responses with all the interview responses I’d received to date in My Miso Story for the question: “What is your misophonic superpower”. In total that left us with 49 respondents. Obviously this is a relatively small, informal poll and should be treated as a bit of fun. But it’s interesting and thought-provoking nonetheless and a starting point. The first and most popular trait that came through was‘sensory sensitivity’. A whopping 45% of you reported supersonic hearing, a keen sense of smell, or some other form of sensory sensitivity. This is a great advantage in areas where you need to notice and appreciate tiny changes in the environment around you. Performers, artists, people who work with animals, air traffic controllers, police and military service men or women and so on could greatly benefit. But the results I really found fascinating though were the next 4. Again these were unsolicited, and to my knowledge no respondents could have spoken to one another. A huge proportion of you, 37%, cited ‘empathy’ as being your misophonic superpower. What a fantastic trait. The obvious skillsets that leap to mind are that of psychologists, therapists, nurses, carers, animals lovers and so on – but it goes much deeper than that. Someone with a high level of empathy will always be extremely valued and held in high esteem. This is a trait – if properly harnessed – that could take a person anywhere. The ability to listen, feel, understand, identify with and help others is at the core of the human race’s ability to co-operate, thrive and reach incredible new heights. 27% of you reported traits such as musical ability, a flair for writing, art and other creative exploits. This tallies with the study we looked at earlier and could point to an innate ability in misophones to see the world in a different way. I receive dozens of emails from people with misophonia each week and many of them are form people doing amazing things. We seem to have a lot of talented writers, artists and creatives in our midst. ‘Attention to detail’, 22%, and ‘pattern recognition’, 8% were also very popular traits. These are really specific and incredibly valuable abilities that kept popping up. They could pave the way for excellence in all manner of pursuits from art to engineering and science. The well of misophonic superpowers appears, even from this little survey alone, to be positively overflowing. When we label something like misophonia (or any other neurological disorder) as being ‘one thing’, we do ourselves and others a disservice and risk being defined by a very narrow set of traits. Let’s rewrite the tired and harmful narrative that says that the ONLY thing that defines us as misophones is an aversion to certain sounds. Let’s look for the environments where we really thrive. If you have any thoughts, reflections or comments I’d love to continue the debate in the comments section below. I feel the same way regarding empathy for both sides. I wish people could see things our way. Everything you have written about including your research and interviews is fascinating and very helpful. It is so amazingly reassuring to read about shared experiences. I would love to be able to read it all in a book. Thank you. My son has autism, intellectual disability, and misophonia. Misophonia for him is a source of misery. He stopped going to school. He stopped going out. He is isolated. With few resources, we’ve been unable to help him. He recently got an ABA therapist who is trying to alleviate his misery with controlled exposure to his trigger noises. For him, and for us, misophonia is no blessing. It’s an affliction that robbed him of his high school years. Does your son have musical ability? Have you ever tried sitting him at a piano, just to see what he comes up with? He may find it scary to begin with, but I feel he may eventually find sounds/harmonies he finds pleasing & that he can relate to. Everything you have written about including the research and interviews is fascinating and amazingly reassuring. I wish I could have it altogether in one book. This is the best Misophonia article I have ever read! Thank you for this! So much! Great article. I am very empathetic and very creative. I tick all the boxes. This is a great article! Taking my noise sensitivity and turning it into a positive trait is refreshing. I have always scored high on empathy and practiced social work for many years and still find strangers who need help approach me in public. I have the ability to look at a long list of names, etc. and pick the word/ name quickly. So encouraging to know there are others across the world like me. Will share this article with my friends and family. Fascinating, indeed. And very heartening. I’m so glad to have found Allergic to Sound. The articles—which are always well written, not to mention entertaining—shelter my sanity on a regular basis, and this one makes me feel special. Thanks again, Tom, for all of the information you share here! I hate my misophonia and it is a CURSE, not a “blessing”. Especially always trying to hide it from my family and friends, while I’m really exploding inside. I’m ashamed of my behavior but I have no control over it. No one who is “normal” could possibly understand what it feels like. I would rather die than keep living with it, but I keep on fighting it. It seems that many ‘miso-people’ have musical ability. Me too; I could pick out tunes on the piano from an early age (5) and now also play flute & recorders. Something else I do, which for many years I hadn’t realised others couldn’t, is to sing straight from a sheet of music I have never seen or heard previously. Most people would need to hear the tune played through at least once before being able to sing it. I do it simply by reading the music. Does anyone else hear overtones? A tolling bell in France or Italy sounds different from a tolling bell in UK. Why? Is it the ambient atmosphere, the way the bell was cast? Something else? Colours & smells also have overtones for me! I also notice small details in nature; the song of a blackbird after summer rain; and what about the perfect acoustics of certain types of building? St. Paul’s Cathedral, London, for example. There’s my love of numbers; pi and the Golden Section hold a special fascination for me. Then there’s my love of analysis of anything & everything: languages, art, architecture, the human mind…is it any wonder I struggle with all this going on in my head along with those sounds I find irritating (mouth noises mostly). Talk about sensory overload! Putting a positive spin on something that feels as if it is only bringing suffering and anguish is genuinely so valuable and important. Perhaps it isn’t quite as abhorrent as it appears to be on the surface level.